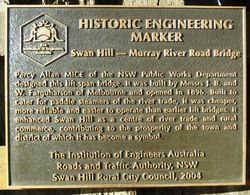 An Historic Engineering Plaque dedicated to the Murray River road bridge. 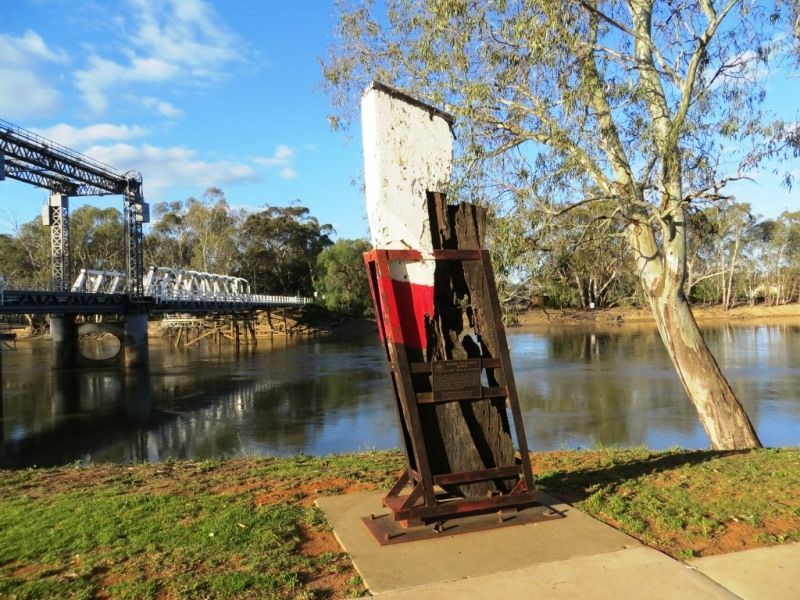 Percy Allan MICE of the NSW Public Works Department designed this lift span bidge. It was built by Messrs J. B. & W. Farquharson of Melbourne and opened in 1896. Built to cater for paddle steamers of the river trade, it was cheaper, more reliable and easier to operate than earlier lift bridges. 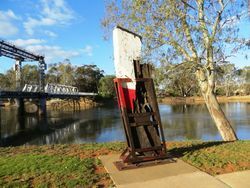 It enhanced Swan Hill as a centre of river trade and rural commerce, contributing to the prosperity of the town and district of which it has become a symbol.